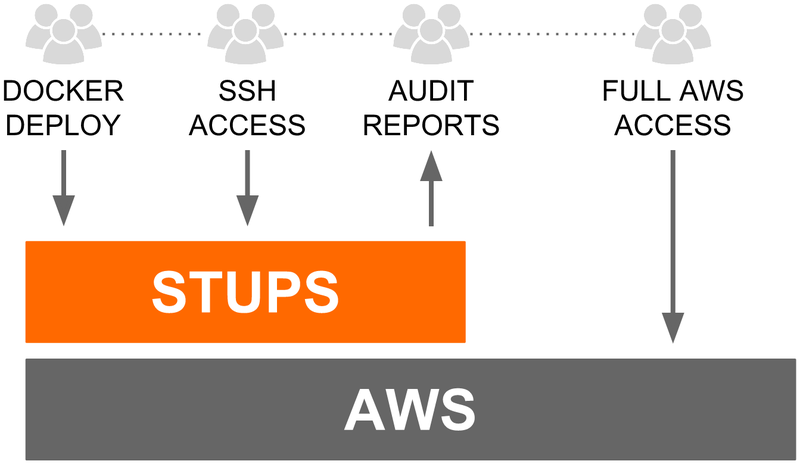 The STUPS platform is a set of tools and components to provide a convenient and audit-compliant Platform-as-a-Service (PaaS) for multiple autonomous teams on top of Amazon Web Services (AWS). Why STUPS? All STUPS components are open source and are available on GitHub. Installation instructions and documentation is available at docs.stups.io. Kio is STUPS’ application registry. Mint is STUPS’ secret distributor and rotator. TWINTIP is STUPS’ API crawler. YOUR TURN is STUPS’ developer console frontend.